On Wednesday May 25, 2011, His Excellency Eugene B. Holiday and Mrs. Holiday paid a working visit to Oranjeschool. This working visit is part of the Governor’s program to obtain a firsthand view of developments in the community and forms part of his objective to promote Education and Culture. Previous working visits included amongst others the St. Joseph School in 2010, Milton Peters College in January and the Museum and the Library in April. 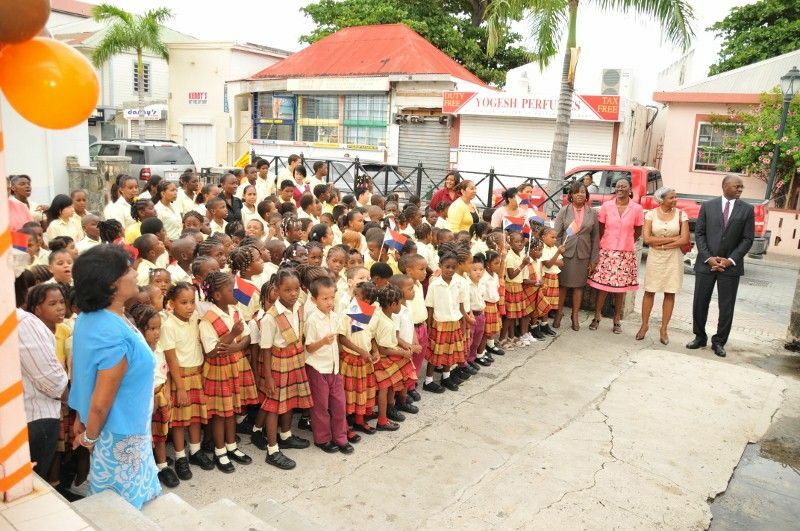 At Oranjeschool, the Governor and Mrs. Holiday were welcomed by School Principal Mrs. Kay L. Philips and the pupils with the singing of the National Anthem. Following a meeting with the management of the school, principal Mrs. Philips, acting principle Ms. Jacobs and adjunct-director of Public Schools Mrs. Glenderlin Davis on developments within the school, the Governor and Mrs. Holiday were given a guided tour of the school. The tour included a short demonstration about the schools’ Information and Computer Technology Center and an exchange with one of the classes. Given the annual Book Week and to emphasize the importance of reading the Mrs. Holiday read to a grade 4 from a children’s book entitled “Mina Marina” of Loeki Morales. At the end of the visit the Governor presented the book to Ms. Tamara Richardson, teacher of grade 4 as a donation to the school. 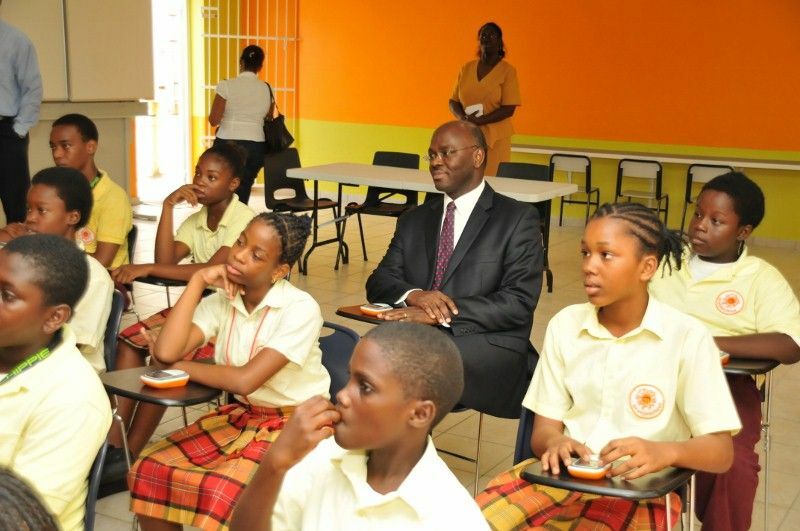 The Governor and Mrs. Holiday amidst the many challenges facing the school were encouraged by the enthusiasm of the pupils and particularly impressed with the innovative work being developed in the Information and Computer Technology Center of the School. 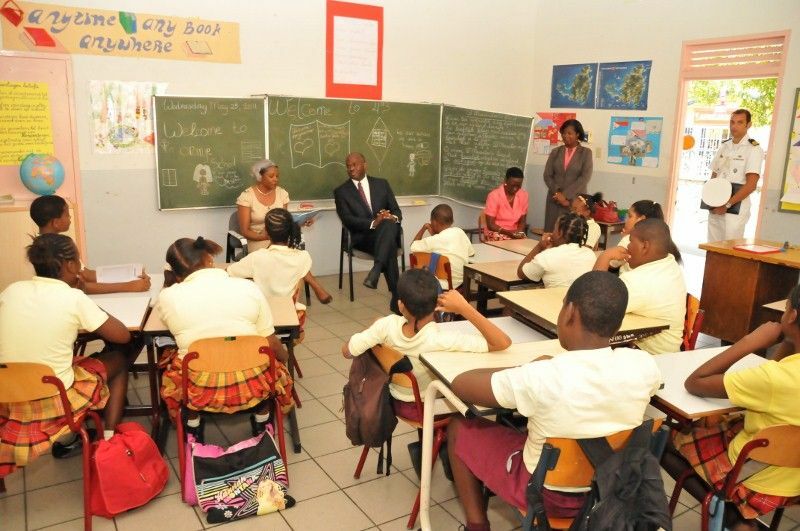 The governor therefore encouraged the management and teachers of the Oranjeschool to continue with its 160 year tradition of educating the children of St. Maarten and urges the community at large to support the Oranjeschool and other educational institutions on the island in this critical tasks.